Let Diagenix take the complexity out of building and deploying your next mission-critical voice application by using one of our packaged solutions. We offer a number of industry-specific applications that are ready-to-run out-of-the-box using most standards-based voice environments¹. Our applications are feature-rich, battle-tested, and very affordable. Our voice applications come preloaded with features and components that have been designed to get you up and running within weeks—not months. 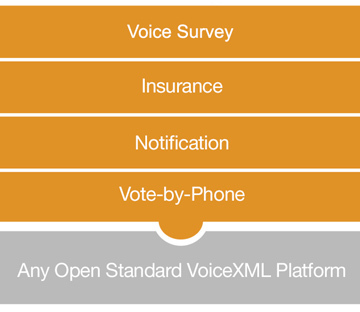 We can provide all the necessary hardware and software as a single self-contained solution or you can choose to deploy our voice applications using your own standards-based VoiceXML or CCXML platform thereby leveraging your existing investment and further lowering your TCO. We also offer hosting and customization services for all of our application packages which gives you the ultimate flexibility when trying to decide the best way to add IVR and speech capabilities to your organization. Good speech-enabled voice applications offer interaction advantages and capabilities that well-designed touchtone voice applications simply can't match. While these advantages can translate into higher automation rates, the promise of speech-enabled applications doesn't always pay off. Many vendors will claim that they can save you a lot of money by simply upgrading your legacy IVR systems and touchtone voice applications to speech. The truth is speech is not always the best approach. In fact, a study done by Forrester² found that well designed touch-tone voice applications with automation rates above 32% may see no improvement or even a decline in automation usage rates when moving them to speech. At Diagenix our approach is to make all of solutions support both technologies—touch-tone/DTMF and speech—and not penalize you for selecting one approach over the other. You can choose the technology that's right for you today and be confident that your investment is safe if you should ever need to change your mind. 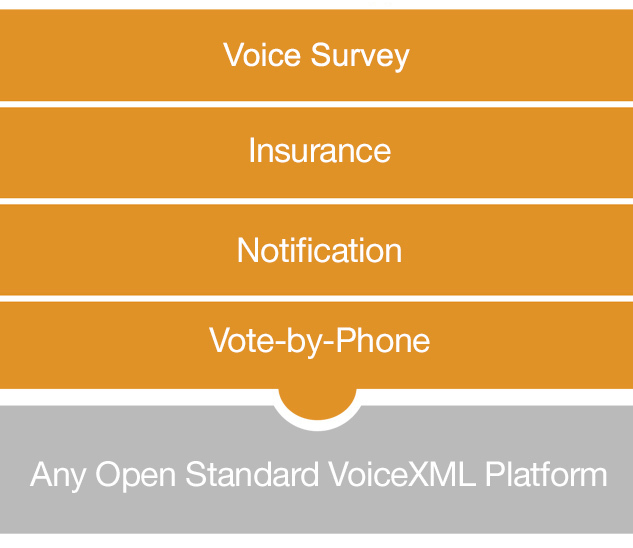 ¹ Voice Applications run on standard VoiceXML platforms. Some application functionality may require CCXML capabilities.